As a Catholic Sixth Form College we have a distinctive ethos which underpins all our work and is a key factor in our success. While we put great stress on qualifications, hard work, effort, and academic success, we’re about far more than that. We are here to educate young people in the widest sense, developing the whole person so that all our students realise their full potential. We not only want our students to leave us as rounded, thoughtful, caring and confident adults equipped with the skills and attitudes they need to make a success of their lives, we also want them to be ready to make a positive contribution to society. Through our character education programme, The CTK Graces, we help our students to develop the traits and attributes of grit, respect, assurance, curiosity, endeavour and self-control so that they have the qualities they need to be discerning and to thrive in the highly competitive world that awaits them. Our tutorial and pastoral support systems ensure that every young person is nurtured and valued as an individual. 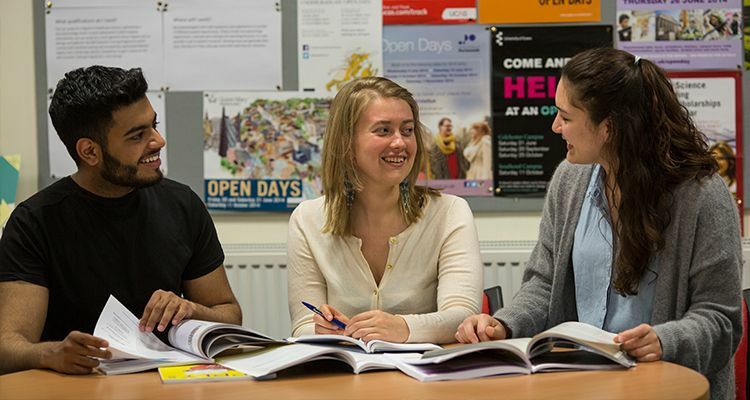 Our college is underpinned by values of mutual respect and positive encouragement. We welcome students of every faith and none at all, and all our young people take part in a learning programme in which they are invited to consider the personal, spiritual and moral issues they will face as they move into adult life.